Ken Palson Enterprises is a Heavy Duty Excavating Contractor. 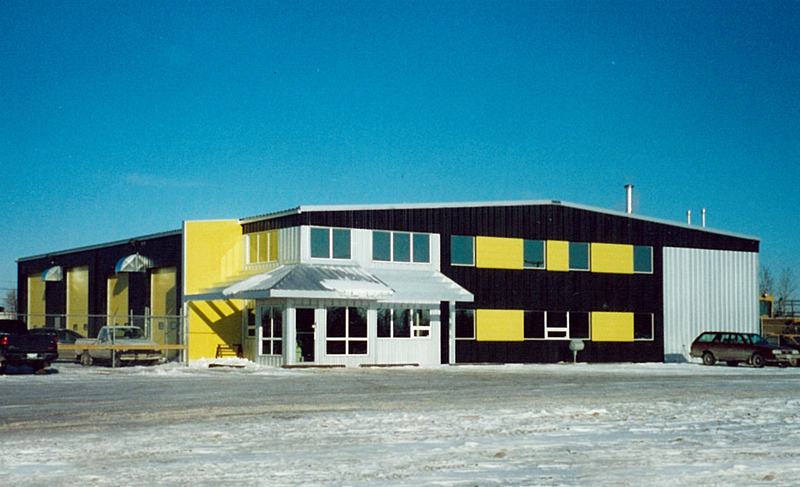 Their company colours of yellow and black were incorporated into the exterior design of this structure. The building design required several offices and a maintenance shop to service its fleet of equipment. A mezzanine at the front of the building created much needed office and storage space on two levels. The remainder of the building is dedicated to vehicle and equipment housing, repair and maintenance. The modern detailing of the front corner highlights the front entrance.